It’s 2:00 AM in Tel Aviv, Israel, and Zack Weisfeld’s phone startles him awake. It’s a call from a chief executive officer from a startup company that Weisfeld’s team has been working with. Apologetic and panicked, the CEO needs last-minute help reviewing an investor’s term sheet. They have to accept or refuse the offer in a few hours. As the general manager of Microsoft for Startups, the company’s broad startup evangelism effort, Weisfeld loves it when entrepreneurs take him up on his offer to “seriously, call anytime.” For him, it means the growing and sometimes all-hours commitment for Microsoft to become an intimate and trusted friend to entrepreneurs is paying off. “Ten years ago, Microsoft was not seen as relevant or in the loop with the entrepreneurial community,” said Weisfeld. For example, say you are out there trying to peddle a disruptive, never-before-heard-of cloud service and need to find someone to help you get it off the ground. The first place you want to turn is to someone who has a record of starting cool new things, who is already well known in startup culture, and who has a massive network through which you could connect and woo investors. You want to rub elbows with the “in” members of Planet Startup who can help jettison you there, too. And the relationship isn’t one sided. Well-established businesses benefit too—through investing in entrepreneurs and their ideas, corporations can move quickly forward into areas of disruptive technology and hang out with the next generation of talent. Microsoft has long been working with startups, but in the past 10 years, Microsoft doubled its efforts toward making deeper, lasting connections with entrepreneurs. To do so, it had to boost its signal and send the message: Microsoft is committed to providing startups with an advantage in the marketplace. In 2011, Weisfeld came to Microsoft with the purpose of finding a new way to work with startups. Uniquely suited to the challenge, Weisfeld had spent 27 years both as an entrepreneur (part of disrupting startups who changed the mobile handset space and eventually sold the intellectual property to Google in 2012) and as a seasoned investor in startups (with almost a decade spent working in Silicon Valley), and he had already worked at Microsoft in the past. Weisfeld began by listening. He traveled all over, tapping into his startup network to get a feel for how people felt about Microsoft and startups. These candid conversations left him with the profound sense that Microsoft was a perfect fit for startups but that entrepreneurs just didn’t know it yet. He returned to Redmond and proposed an idea: launch an accelerator program for startups. Accelerators, introduced to the business world just over a decade ago, help fast-track each stage of the journey for startups. For these people, who are often trying to solve a problem in an unproven way, steps must be carefully coordinated, and there’s a risk of something going wrong at every turn. Though each startup’s journey is unique, they all go through the same basic steps. Tania Yuki (left) worked with Microsoft Accelerator. “I was really astounded by [Microsoft’s] openness to new ideas and the ways in which each team embraced what we have built,” she said. “Microsoft Accelerator opened the doors to the Microsoft organization . . . and it shed light on the focus for innovation and fast iteration that is the hallmark of many of the Microsoft teams.” She is pictured here with Guy Kawasaki, a startup industry super star. An idea is developed into a product or service that needs money to continue. The idea person—now dubbed “founder”—will then ask friends and family to invest early on. This stage is called “bootstrapping”—starting a business without official investor help. Next is the seed stage. An entrepreneur will get the first $2–5 million from what the industry calls “angel investors”: usually business professionals who invest their own money in what might be a potentially rewarding business opportunity. This is also when many startups typically engage in an accelerator. Then comes the Series A, B, and C stages, when the entrepreneur needs money to grow; here, big venture capital sums are being introduced. In the Series A stage, a startup makes the product the best it can be and builds a user base. Series B is when it begins to build the business around the product (like hiring sales people and investing in tools for working together). Series C is all about finding a way to grow the company’s technology and business—also called scaling the business. Accelerators are a proven method for getting a startup off the ground. Weisfeld described it like a “super-fast MBA program, a school for entrepreneurs.” The selection process is rigorous and highly competitive, and for good reason. If a startup is accepted to an accelerator, it will likely accomplish in 12 weeks what could otherwise require years. Hundreds of different global accelerators offer various benefits and focus on different outcomes. Startups spend a lot of time trying to find the right accelerator for their product, culture, and wherever they’re at in their entrepreneurial stage. With an accelerator, entrepreneurs get to consort on a daily basis with industry experts and find potential mentors. They learn how to start a business cheaply and get feedback on the viability of their product. The workspace inside Microsoft Accelerator in Bangalore, India. Microsoft has seven accelerators across the world—Bangalore, Beijing, Berlin, London, Seattle, Shanghai, and Tel Aviv—each with the express mission of meeting the needs of startups in whatever stage is needed. Weisfeld had a vision of a Microsoft-flavored accelerator that would help startups get to know the real Microsoft—the agile, pioneering Microsoft. It would get the company in the room with startups and foster the creation of those long-term relationships, the kind where a 2:00 AM phone call is welcome. Startups would get unparalleled access to expert advice, technology tools like Azure and Office 365, and Microsoft’s global network of customers. And unlike some accelerators, Microsoft would not take an equity stake in the company. By April 2012, Weisfeld had amassed a team of people who were on board with this idea. With approval from Satya Nadella, who was then running the Cloud and Enterprise group, the first Microsoft Accelerator pilot opened in Tel Aviv, Israel. To the team’s surprise, more than 200 companies applied for the 11 available spots. Two months later, the team opened Microsoft Accelerators in Beijing and Bangalore at the Microsoft global research and development center. Now, five years after the first accelerator opened its doors, Microsoft has seven accelerators across the world. Almost 650 companies have graduated from the program and raised about $3 billion total in investment money. Last year, Microsoft Accelerator ranked as one of the top 10 global accelerators according to the 2016 Global Accelerator Report, and local venture capital communities in China, India, and Israel awarded Microsoft accelerators with the title of number one accelerator in their respective countries. In the past year the program was redesigned specifically for Series A, late-stage startups and focuses on creating sales opportunities—another differentiating factor to other corporate accelerators. It hones the business side of things. Advisors at each of the Microsoft Accelerators hold CEO dilemma sessions. The sessions are peer therapy for entrepreneurs to discuss common startup problems, such as what to do when a cofounder isn’t carrying the weight or when a technical cofounder is behind schedule with the product, worries over whether signing with a big investor will intimidate other investors away, or how to hire and compensate the first sales executives. Sometimes, the problems can be more dramatic, like CEOs realizing that they aren’t the best fit for running their own company. The entire road from idea to company is an emotional one, in fact. Weisfeld said that Microsoft Accelerator intentionally gets emotional with startups by jumping into the trenches with them and not only holding their hand but also giving them special access to the Microsoft global network and trusted name. Before she joined Microsoft Accelerator, Tania Yuki, CEO of Shareablee, a social media measurement company, felt like Microsoft wasn’t the most approachable company in the world. Once she was accepted into Microsoft Accelerator, she found herself surprised. She was astounded by Microsoft’s openness to new ideas and the ways in which each team embraced what she and her company built, “both to help us make it better, but also to find ways that our technology and dataset could potentially be helpful to Microsoft,” said Yuki. She started Shareablee in 2013 while sitting in her living room with two friends. Now, Shareablee has more than 60 employees and tracks the social media posts and interactions for 100,000 brands. As Microsoft continued to get more involved with startups and the company grew to understand both the needs of entrepreneurs at various stages and the opportunities around engagement for its own business, it brought all the existing programs and benefits under one banner: Microsoft for Startups. From idea to initial public offering, Microsoft for Startups aims to help startups at every stage of their journey. Whether it’s taking an idea from inspiration to working code, gaining access to Microsoft tools, building a business, making connections with customers through Microsoft Accelerators, or getting the funds needed to really take off through Microsoft Ventures, Microsoft wants startups to know: it is here to help. “We were chartered to win startups, and we did that being thoughtful and trying to really listen,” said Amir Pinchas, who runs operations in Microsoft for Startups. Once the focus shifted from trying to sell technology to startups to spending time with them in order to help them with the technology they would need and use, Pinchas found that people were more open to suggestions and feedback. “It’s amazing what happens when people feel like you are really listening, especially when it comes to technology needs,” Pinchas said. Zack Weisfeld, director of Microsoft for Startups, hangs out with several CEOs at the Microsoft Global Startup Roadshow. “I was delighted to see how Microsoft embraces innovation,” wrote Leonid Belkind, CTO of Luminate, which was part of Microsoft Accelerator in Tel Aviv. 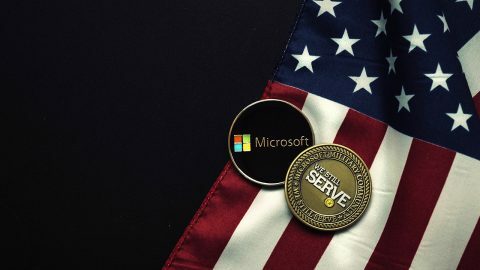 Before attending the accelerator, Belkind wondered how Microsoft would react to innovative startup ideas, knowing that a company with such a big position in the market would have a very heavy responsibility toward its partners and customers. “Generally risks are not taken lightly,” he said. But he got to know a Microsoft that “embraces innovation” and “focuses on being a thought leader in the IT industry.” And working with Microsoft has changed the way Belkind does business.